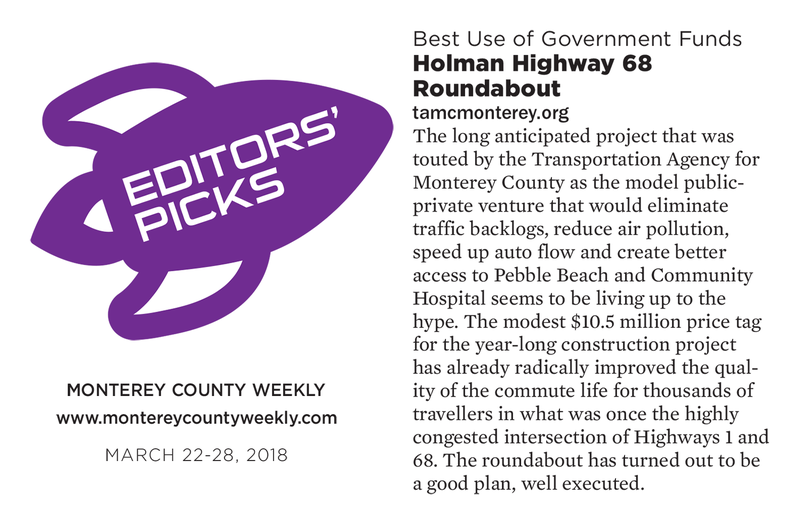 Editors at the Monterey County Weekly have named the Holman Highway 68 roundabout as their county’s “Best Use of Government Funds” in 2017. The locally owned Seaside, California-based newspaper featured the project in its “Best of Monterey County” annual issue, which was published on March 22, 2018. The roundabout, which replaced a congested intersection and serves as primary access to Pebble Beach and Community Hospital, has “radically improved the quality of the commute life for thousands of travelers,” the paper said. Congratulations to all our partners who worked on this exciting, challenging project.